Here is a compilation of questions often asked about Royalty Free Music. 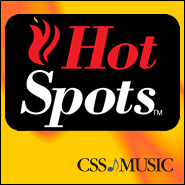 If we’ve left out your question or if you need further clarification, call us toll-free at 1-800 HOT MUSIC, or email us at info@cssmusic.com. We’re happy to help. Does “copyright free” mean the same as “royalty free”? No, the term “copyright free is a misnomer. Even if a piece of music is in the public domain, the sound recording is probably under copyright. Other so called “license-free” approaches can be misleading as well. While they avoid the “work” of signing a license agreement, they also avoid spelling out the rights you think you are buying. Is Buy-Out Music “royalty free”? license to use the music. Perhaps a better term would be “royalty up front”. 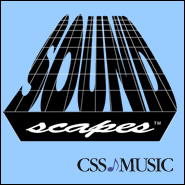 What kinds of things can I do with licensed CSS Music and Sound Effects? When produced within the terms of our Standard License, some of the things you can do include: Film, video, DVD and television productions, marketing, training and trade show presentations, corporate videos, YouTube videos, educational productions, on hold advertising and messages, radio commercial and program content, television program content, spots and promos, podcasts, live performances, audio book products, multimedia presentations, web pages, Powerpoint and Flash productions, interactive programs, AV and Point of Purchase displays and exhibits. If you don’t see your intended use listed above or need clarification about your use, please call us at 800-468-6874 or e-mail to info@cssmusic.com. 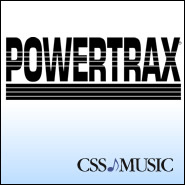 Are there any re-titled music tracks that appear in other libraries in the CSS /D.A.W.N. Catalog? No. While some libraries are built with re-titled tracks that composers make available to multiple library sites, we own all the music that we license to you. This avoids potentially cumbersome legal ramifications if questions of ownership arise under certain circumstances. Is there reporting required under the CSS Standard License Agreement? 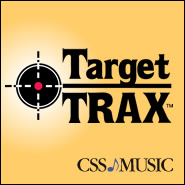 Generally, unlike needle drop, production blanket and annual blanket licensing, there is no need to report your use of CSS Music unless your particular application is one of the excluded uses (e.g. full length theatrical motion pictures). If your project will be broadcast, however, you must submit a copy of the cue sheet. 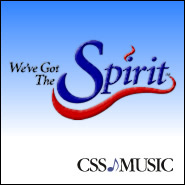 The CSS Standard License Agreement is viewable at www.cssmusic.com. A Cue Sheet is a chronological listing of all music used in a project. Please visit www.cssmusic.com to view a cue sheet tutorial and access a downloadable cue sheet pdf. What rights am I getting when I purchase royalty free music? Basically with all music licensing (whether needle drop, production blanket, annual blanket or lifetime blanket), there are 3 rights you need: Mechanical, Synchronization and Public Performance. The mechanical right (aka “Master Use Right”) lets you re-record the music from a purchased CD, download, etc.and edit and process it. The synchronization right lets you put the music into time relationship with a picture. Finally you need the Public Performance Right. Your CSS Standard License provides you with all three necessary rights. 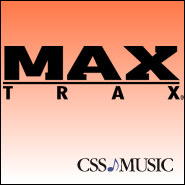 Please visit www.cssmusic.com to view the CSS Standard License Agreement. 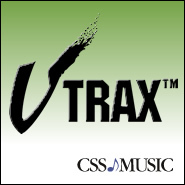 Once I Buy My CSS Music, how many times can I use it? 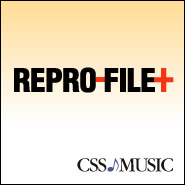 Unlike a needle drop, you can use a tune under the CSS Standard License (except excluded uses) as many times as you like, in as many productions as you like for the complete term of the license. What if my project will be broadcast. Is there any problem? No problem at all. Broadcasting is permitted under the CSS Standard License with no additional charge (if you are a broadcaster, you would be covered under your arrangement with Broadcast Music Inc.). However, certain types of broadcast content (made for TV movies, network television prime time programming and national television commercials ( e.g. on ABC, CBS, NBC, FOX) require an additional Master Use and Sync License. 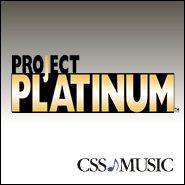 If your project is a program for broadcast television (a reality show or documentary for example), a copy of the episode cue sheet must be sent to CSS Music (please see the Cue Sheet Tutorial on the cssmusic.com homepage). units may I replicate under the Standard License? Can I charge my clients a fee for the Music? You can charge your clients for the music you include in their projects when you also add other audio and/or visual elements. Your investment in a royalty free library from CSS can provide you with significant added revenue. In fact, its very possible that you’ll pay for your library purchase with your very first production. What if my friend at another facility asks if he can use the music? Tell your friend that your license doesn’t cover this use. You may not lend, share or distribute the music (or sound effects). Your license is granted to one individual organization or site. 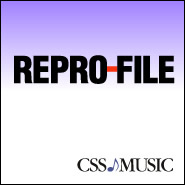 I noticed that there are Lo-Fi versions of CSS Music selections available. Can I use these to make a demo for my client's approval? 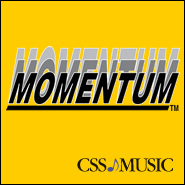 Can I use CSS Music on a web site? Yes but only when you utilize a streaming format that prevents the music from being used by unauthorized parties and when the music is combined with other audio and/or visual elements added by you, the License, and where the music is not a featured part of any web presentation but rather an incidental or background element. 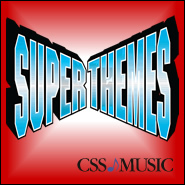 Can I use CSS Music for Advertising or Message on Hold? Yes. This use is specifically provided for in paragraph 2(a) for the CSS Standard License. So called “Music on Hold” is permitted only at the site licensed. Additional “Music on Hold” sites are licensed separately. Can I use CSS Royalty Free Music for a trade show? Yes, indeed, even if you are producing an AV/Video project for a client who will actually be the exhibitor. It is a good idea to always supply your client with a copy of your CSS license along with your invoice. Some shows do require exhibitors to prove their right to use music. Are theatrical motion pictures covered by the CSS Standard License? No, but this use is available with an additional license. 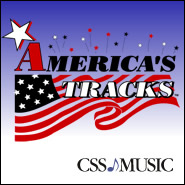 Other exclusions to the CSS Music Standard License include Made For Television Motion Pictures, full length (60 minutes or longer) direct to video motion pictures, network television prime time programming (ABC, CBS, NBC, FOX) and national television commercials. These excluded uses are also available with an additional license. 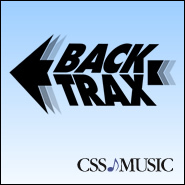 Can I add lyrics to CSS Music I purchase? No, this is not a permitted use. 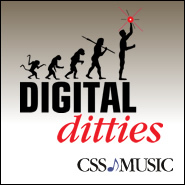 in order to create new musical compositions? What if the CSS License changes? While CSS does reserve the right to change the terms of its license agreement without notice, changes over the years have been few. What’s important to remember is that when you fully execute your CSS agreement, its provisions and the rights you’ve purchased remain in effect for the full length of its term. What if I don't like the music I ordered? Can I return it? 1) Please call us at (323) 666-7968 and let us know you wish to return item(s). We won't try to talk you out of it, we just like to know what items are being returned and to remind you of the remaining return requirements listed in #'s 2 and 3 below. 2) Prepare a brief, signed statement on your letterhead indicating that you neither copied or used the material. 3) Return the statement and both copies of the CSS License along with the product you are returning. Your credit card will be credited the same day we receive your return with all necessary elements.